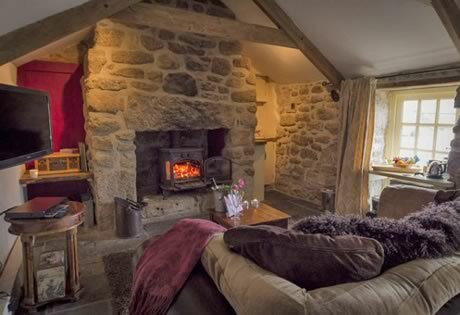 Honey Hedge, The Dovecote and Lamorna View Luxury Cottages are found on the edge of Lamorna Cove and Valley. 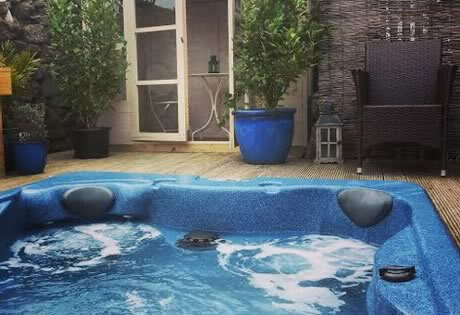 Comfortable and stylish Luxury romantic accommodation ALL with a 'Private Hot Tub', set in an area of outstanding natural beauty, a haven of peace and tranquility, fresh clean air, majestic scenery, stunning sea views, beautiful woods, fields, sandy coves, coastal path, all to explore at your leisure. Five Star and Gold Award from Visit Britain, Lamorna View has stunning panoramic views accross Mounts Bay and beyond to the Lizard through our huge 4 metre wide full height window. 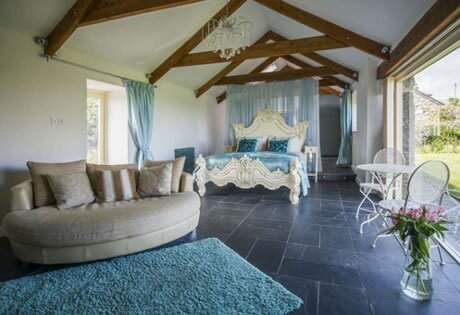 Our original couples romantic retreat and still a favourite with many returning for their special anniversaries. 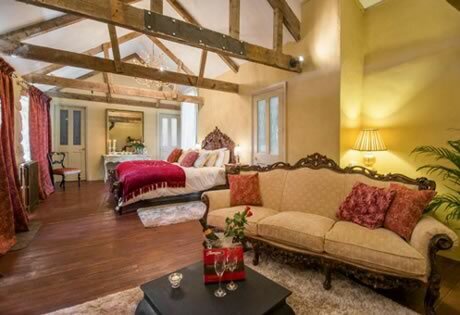 Couples Luxury accommodation blending contemporary Victorian style with a supremely relaxing vibe and also awarded Five Star and Gold Award by Visit Britain. The 12th century ruins of Kemyel Manor stand in Kymaurah's grounds, paths trod for a millennium link the ruins to Lamorna Mill, once owned by the manor, and down through the woods abounding with flora, fauna and wildlife, to Lamorna Cove, Cafe and Local Pub. 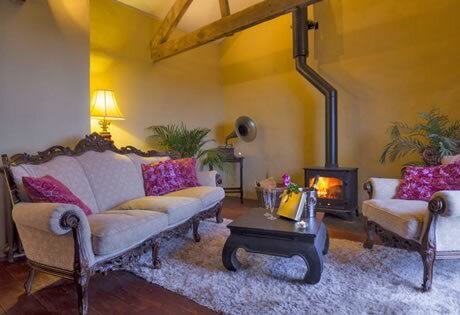 All our cottages offer a relaxing retreat from a busy lifestyle. 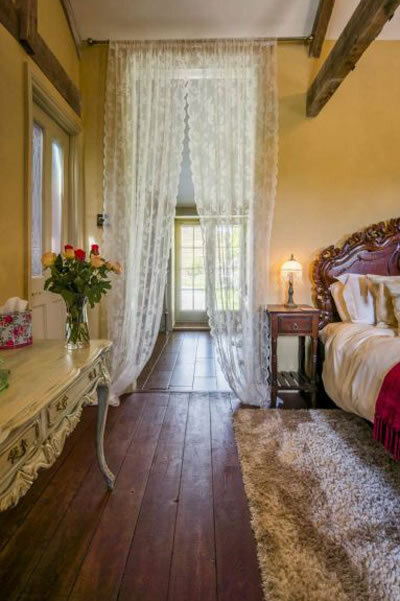 Perfect for Romantic Breaks and Honeymoons. Many major attractions are within a short journey as are Newlyn, Penzance and Lands End.